Imprint Method: 1 Color 1 Location - There's nothing nerdy about this promotional pocket protector! This single pocket, soft vinyl sealed pouch is made of recycled materials and features a 3 flap to hold your essentials. 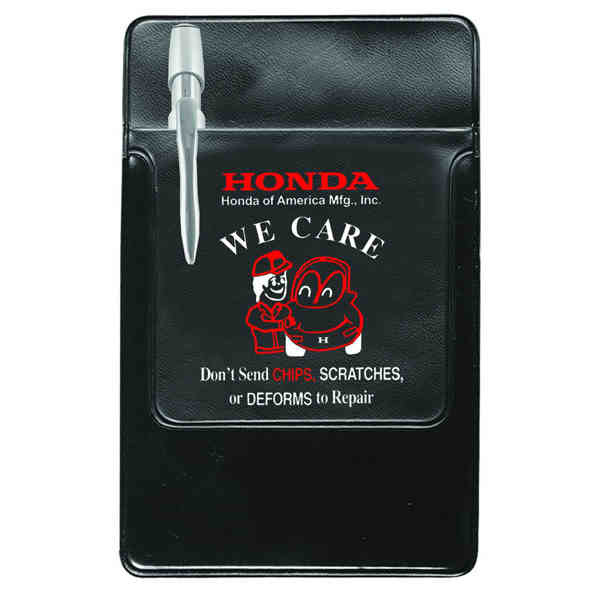 A handy giveaway for a variety of industries, this 3 1/2 x 5 1/2 pocket sized item is available in several attractive colors and each one can showcase your company name and logo for unlimited branding exposure! Proudly made in the USA. Size: 5.5 " x 3.5 " x .01 "